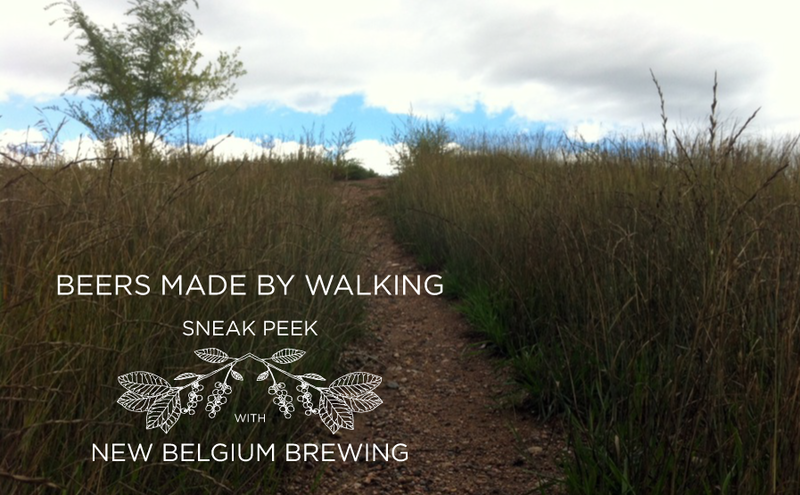 The third in our series of sneak peeks for the upcoming Beers Made By Walking tapping comes from New Beglium Brewing in Fort Collins. New Belgium is no stranger to the BMBW program, nor are they strangers to using non-traditional ingredients in beer. Just recently they released a Cocunut Curry Hefeweizen and a slightly tart beer with Yuzu fruit. Last year New Belgium participated in Beers Made By Walking by creating a Bock and adding a house-made lavendar tea and plums. It was a delicious beer and we’re really looking forward to seeing what they have in store this year. Let’s find out what kind of beer we can expect from them for the special October 8th tapping in Denver. Beers Made By Walking, if you’re unfamiliar with the program, asks brewers to go on nature hikes and urban walks to gain inspiration from the land, and once overflowing with ideas, to make a new beer. 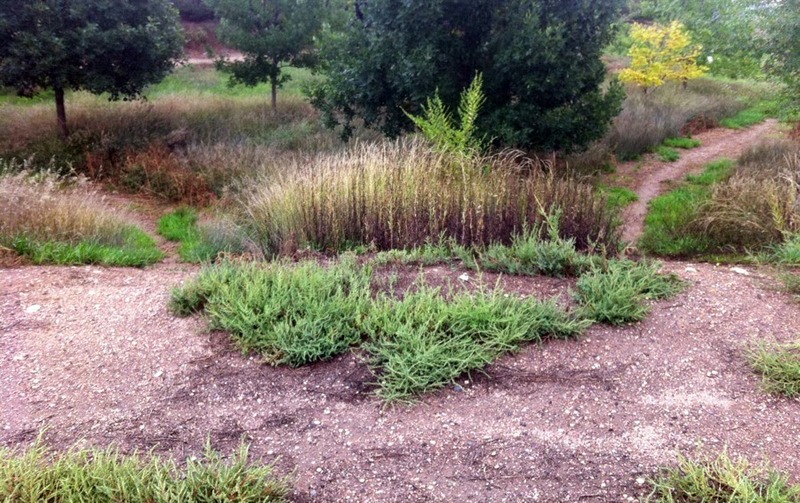 New Belgium has a large bioswale in the back acres of their property, along with volleball courts and a cyclocross track. Brewer Chris McCombs and a group of people from the brewery set out to explore the property and see what sorts of things are growing on the land. I love this photo from the New Belgium property. 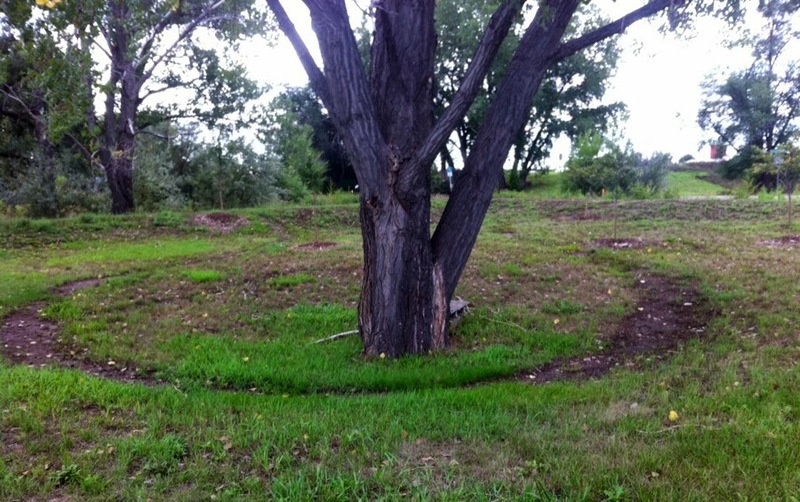 It reminds me of Richard Long’s conceptual sculpture “A Line Made By Walking,” which was a major inspiration for the thinking behind the Beers Made By Walking program. 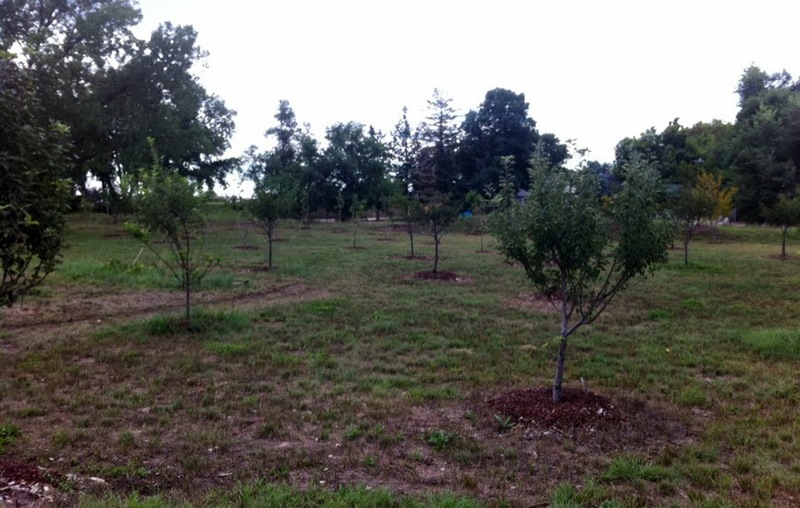 New Belgium plants fruit trees for employees at their ten year employment mark. The grove makes up a generous portion of the back property. 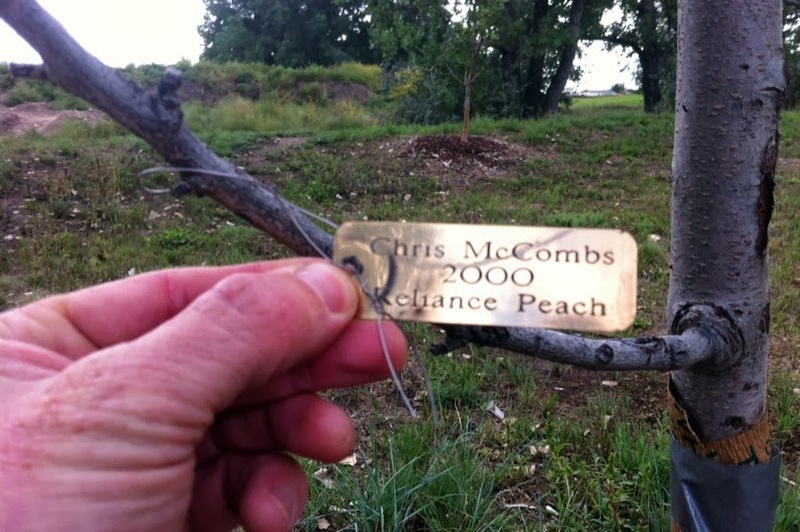 Chris has a peach tree planted on the property and considered using the fruit. They also looked at wild grasses, plums, and raspberries that all would have added a rustic character to the beer. Lately, though, Chris has been leaning more toward easier-drinking, low-alcohol beers like pilsners, milds, and brown ales. So, in the end he decided on something that showcased his interests. But we wanted to brew something simpler this time around – maybe something less than 5% alcohol and that did not have a ton of esoteric things going on. It wasn’t until we got almost back into the brewery that we discovered a mint plant next to the back door. We picked some leaves, crushed them up in the palms of our hands and imagined a mellow beer that could really showcase the fresh mint aroma. Mint Mild was born. We made teas to get the mint additions just right, then put together the malt and hop bill. We intend to pour a couple of firkins that have different additions like whole hops, orange zest and cocoa nibs, just to play around a little with this beer, but will also have some of the mild all by itself for sessioning at the BMBW party. The New Belgium brewing facility includes a 100 and 200 barrel brew house. This beer was brewed on the relatively new 8 barrel pilot brewery. 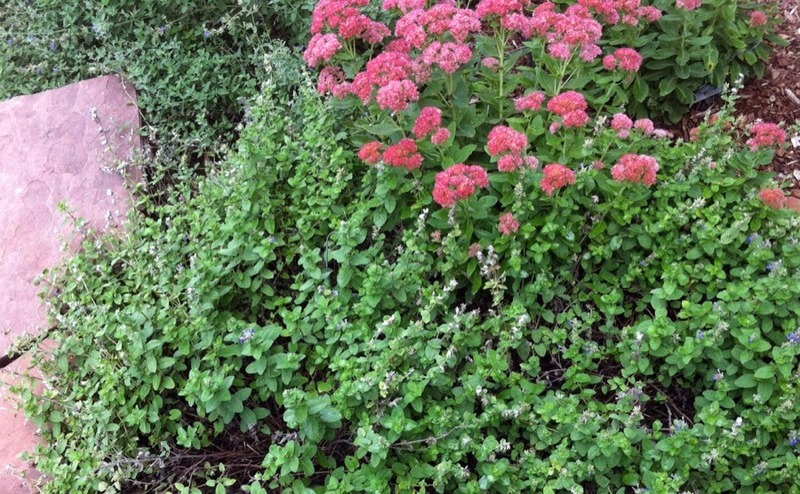 The mint plant that made Mint Mild possible. And here is the mint plant that inspired “Mint Mild.” You can try this beer, along with 16 other beers inspired by trails around Colorado on October 8th, at Wynkoop in Denver, during the Beers Made By Walking special tapping. The event is a fundraiser for Denver’s Cottonwood Institute, which provides environmental leadership opportunities for youth in Colorado. We’re really looking forward to this beer and hope to see you there! The tickets are $30, available online now, and will get you unlimited samples of the 17 beers. Also, please stay tuned for more sneak peeks! You can get updates via email, you can join us on Facebook and on Twitter. Also, connect with New Belgium on Facebook if you haven’t already. See you on October 8th! Beers Made By Walking advance tickets on sale now!